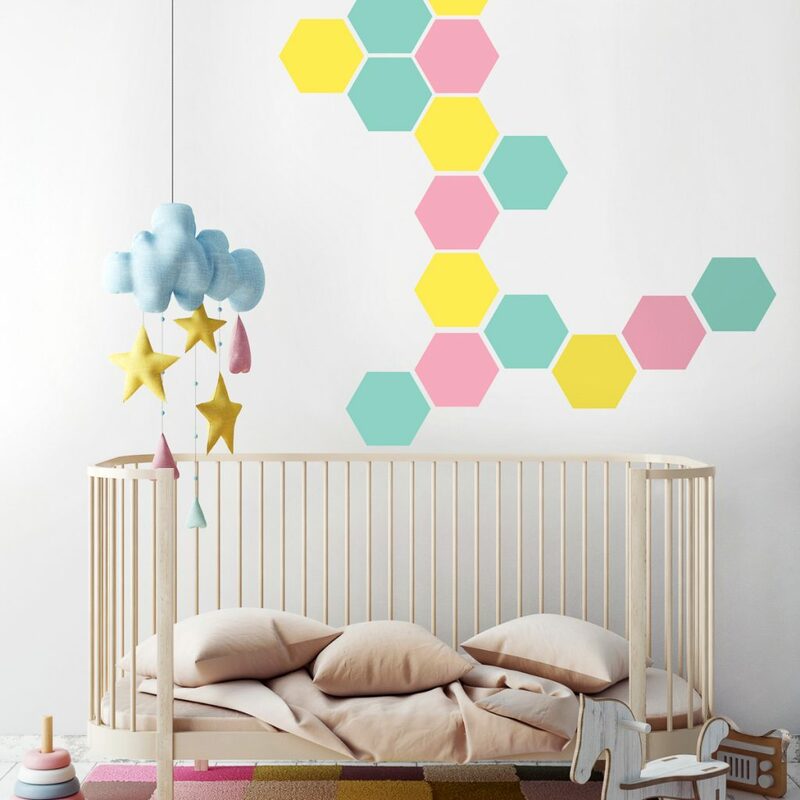 This is a recipe for cool vibes at home: a blast of geometric wallpaper. ‘Blast’ is a technical term for one wall, but don’t hold back if you don’t want to. Go ahead and wallpaper the whole room. It may sound scary, but the reality of wallpaper these days is exciting and energising. If you’re timid about giving pattern a go, ask yourself what’s the worst that can happen? Maybe a badly applied paper, but you can engineer-out that possibility by hiring a pro. Interior design shops are a great place to start. How big a pattern do you want to live with? Check out papers and room schemes online, and notice something? Geometric papers are actually easy on the eye, particularly in pale incarnations. Papering one wall can define a part of the room in a vertical way that nothing else can. Rugs do the same horizontally, delineating floor spaces. Pattern can work for you in unexpected ways. It’s helpful to drop all of your stylistic preconceptions, and let your eye be the judge. You see, large (and therefore sparse) geometric prints can work wonders in small rooms. It might feel safer to use a small repeating print, but the sum total is actually a busier, more cluttered feel.